Don't Miss Out on This Fabulous 4 bedroom 2 bath home with a 2 car garage, overlooking a magnificient pond. Beautiful ceramic tile in the foyer, kitchen, nook, all baths, & back bedroom.Large master bedroom with slding glass door leading to lanai. Elegant master bath with separate dual vanities, garden tub, separate shower, & his & hers walk-in closets. Cozy gas fieplace in the huge ceramic tile family room. Flooring upgrade-New Carpet and Laminante Flooing. Split bedroom plan. Pool bath with french door. Kitchen Remodel in 2017 with Premium Cabinets, Soft Closers, and Granite counter tops that opens to the family room. All bedrooms are large. enormous lanai looks out over the inviting pool and spectaular view of the lake size pond. 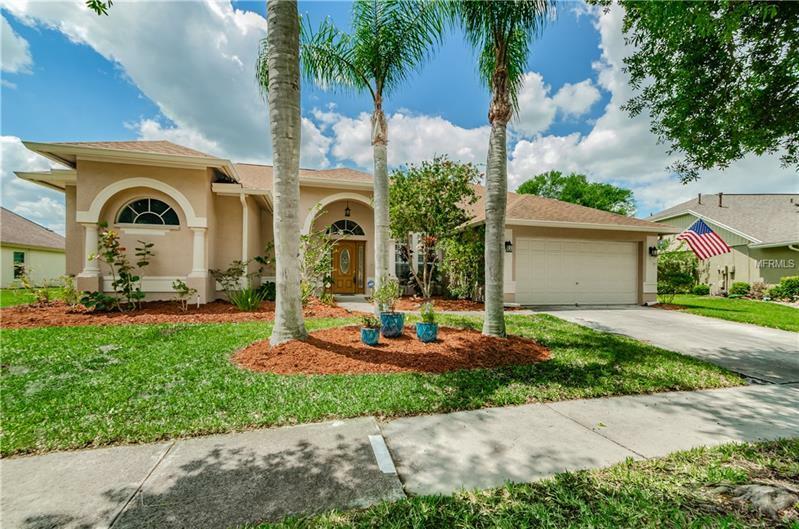 Expertly maintained and manicured landscaping.sprinkler system, security system and St. Augustine grass. Located in the heart of Brandon close to I-75, Hwy 60, the Crosstown, Hwy 301, schools, & shopping. This home allows you to entertain to your hearts delight.